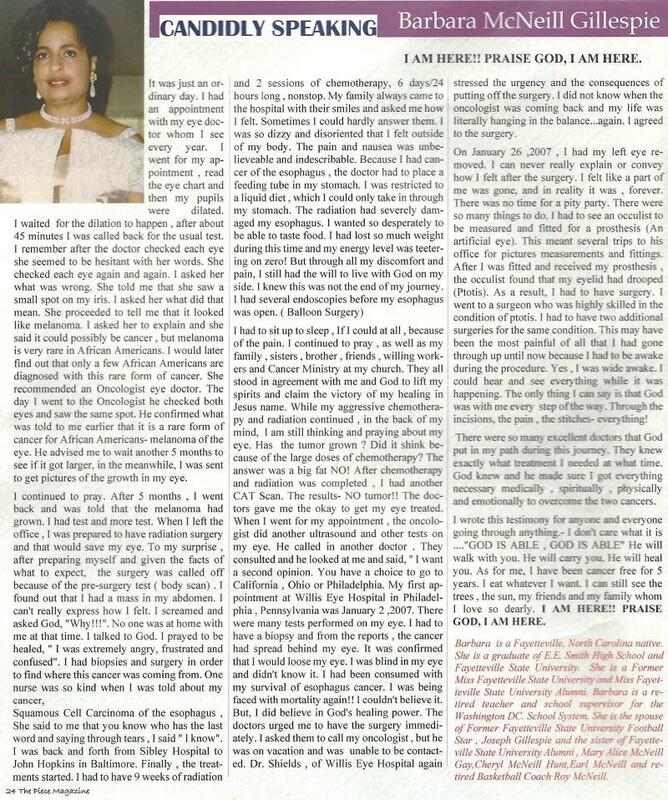 Over 300,000 Views since 2008 - This article was featured in the September 2011 Issue of The Piece Magazine Barbara wanted to share her testimony to give courage and inspiration to all that maybe going through sickness or despair. Her message was very simple; " GOD IS ABLE"
Barbara wanted to share her testimony to give courage and inspiration to all that maybe going through sickness or despair. Her message was very simple; " GOD IS ABLE"